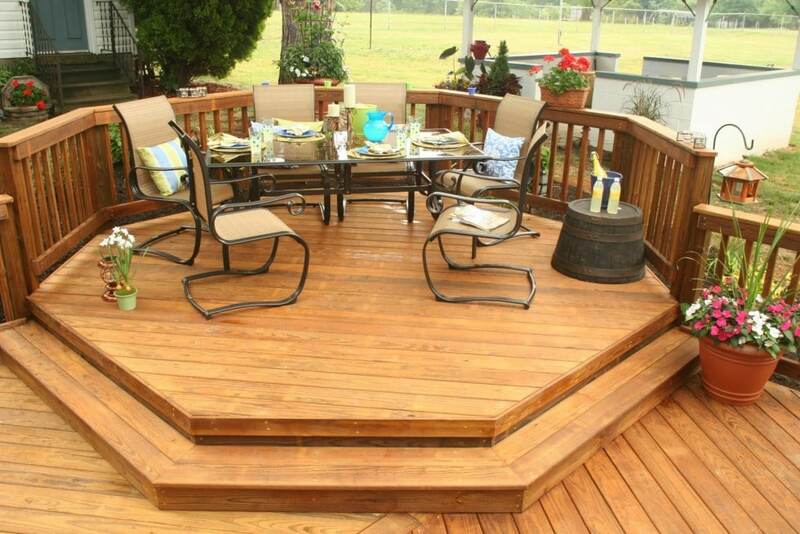 Adding a Deck: How SYP = ROI | Wood. It's Real. | Wood. It's Real. SYP = ROI. Here’s why. Buying a home is the biggest single expenditure the vast majority of people will ever make. That investment is one they hope pays off when they go to sell, which is why they make improvements while they live there. Of course, some upgrades will return more of the initial cost when the house sells than others. Let’s look at one that’s likely to give you a better return on investment, or ROI. 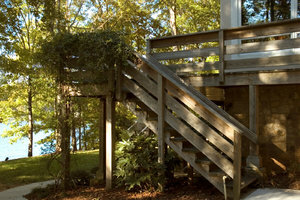 Decks are a great place to entertain friends and family or to just kick back and enjoy nature on a lazy afternoon. Styles can vary from a simple rectangle with a surrounding rail to multi-level extravaganzas with outdoor kitchens and hot tubs built in. On a national average, you can expect to recoup approximately 82.8% of the initial outlay of cash (based on available 2018 data) for a wood deck like one made with Southern Yellow Pine (SYP). That’s a solid return. When you are considering how to build your deck, one decision that has to be made is what materials to use, natural or manmade. While beautiful and functional areas can be built from either, one thing you’re looking for is the return on the initial investment. While that number approaches 83% for wood, for composites it drops to slightly less than 64%. In monetary terms, that means a $10,000 deck would increase the home’s value by roughly $8,300 for lumber and $6,400 for composite. In addition to the improved ROI of wood over composite materials, there are other reasons to choose a material like Southern Yellow Pine for your deck project. Wood decking is naturally beautiful with all the perfectly imperfect grain patterns and knots that come with it. Wood is also more versatile when it comes to finishes. You can stain it a variety of colors and then cover it with a polyurethane coating for protection. You can also paint it or leave it natural. There are very few improvements you can make to your home that will give you the kind of return on your money that a wooden deck will when it comes time to sell your home. But even folks who may only care about the bottom line would have a hard time seeing another key payback for building a Southern Yellow Pine deck…the memories you’ll make while enjoying it.